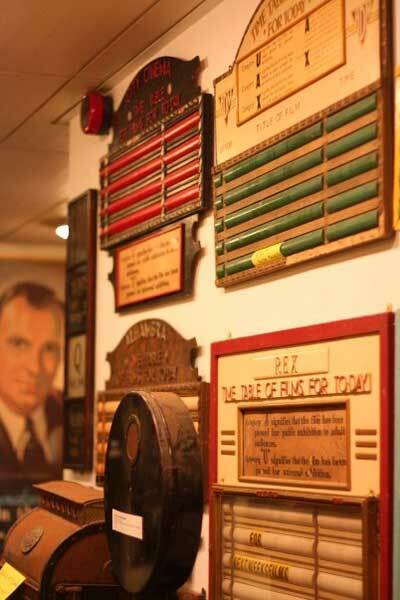 The Cinema Museum’s fascinating and comprehensive collection encompasses every aspect of going to the pictures, from the architecture and fittings of cinemas themselves to the ephemeral marketing materials that promoted the films of the moment. Museum co-founder Ronald Grant began his collection with some beautiful sets of tinted lobby cards he couldn’t bear to see being thrown out, but with the closure of cinemas around the country from the 1960s and 1970s onwards his passion for the pictures drew him into a race against time and developers to rescue the equipment and furnishings being ripped from cinema buildings. The Museum now houses more than a million photographic images, including pictures of cinemas and cinema-going; a large collection of posters and original artwork; projectors from every era, both professional and amateur; cinema staff uniforms; fixtures and fittings such as cinema seating and carpets, ashtrays and signage; and more than 17 million feet of film. A fascinating archive of printed publications includes an extensive collection of periodicals, fan magazines and trade magazines, campaign books and cinema sheet music. In 2008 artist Mark Lewis, Professor of Art at Central Saint Martins, made the 35-minute film Cinema Museum, shot entirely at the Museum and featuring much of the collection. The Cinema Museum welcomes many academics, journalists, historians and archivists, for research both independent and under the umbrella of academic institutes, and for collaborative projects.